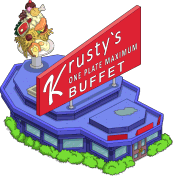 Since Mike has given you tappers the premium guide for the ‘Unoriginal Log Ride’, I thought I would take the other premium item of the level 43 update, the ‘One Plate Maximum Buffet’. This premium guide will serve the usual function and will have everything you need to know about the One Plate Maximum Buffet. Hopefully by the end of this post you will have come to a decision on whether or not to buy the ‘One Plate Maximum Buffet’. Quest: Sensible Eating, Quest can be found here. For 40 donuts it is a reasonable price! In conclusion, I think if you have the donuts to spare then this is a purchase to definitely think about. 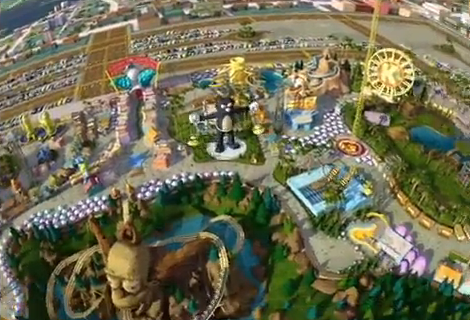 On the other hand, I do think there are much better things to purchase for Krustyland if you save up those donuts. The buffet comes with a quest line called ‘Sensible Eating’ and adds a new job for Princess Penelope and other characters in Krustyland. The decision of purchasing the ‘One Plate Maximum Buffet’ is up to you! Take your time as this is NOT a limited time item and will always be available for you to purchase. So what do you think on the One Plate Maximum Buffet? Please share your thoughts and opinions in the comment section below. Happy Tapping, Nathan. Since I have been playing the Android version of the game, I missed out on lots of stuff. But I do have the opportunity to be a completionist for KL so I’ll probably get this. I went and looked and this is the best thing for around 40 donuts in Krustyland hands down. I wasted 4 donuts rushing Eddie and Lou to finish in SF, only to find they weren’t showing up in KR. However, I was pleasantly surprised to win 5 donuts in the pop balloon game! 5 is a lot for the usually stingy EA people. Hope that is a permanent change. 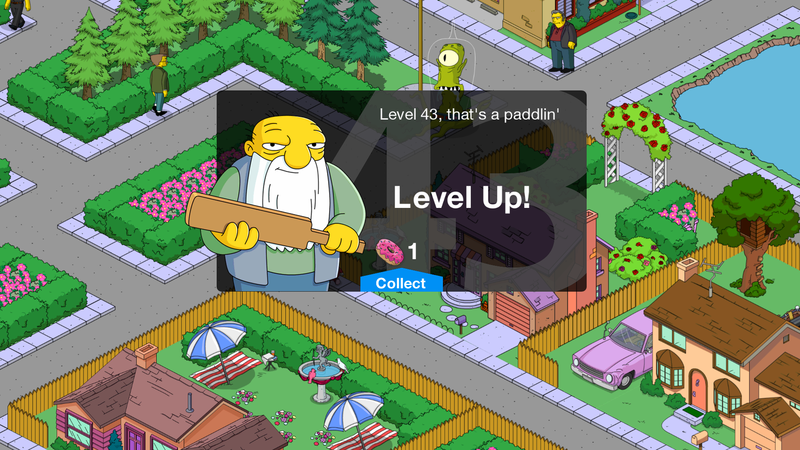 Wow, I am level 43 and more, but this is the first Time I’ve ever hit the donuts. Thanks for the info! Much better items for 40 donuts? 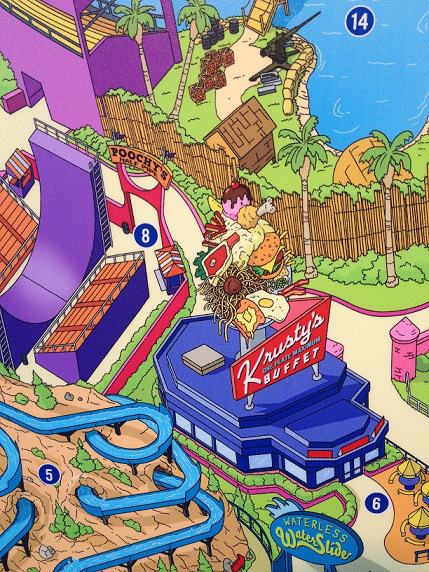 Anyone else having problems getting Lou and Eddie over to Krustyland to do the quest line to eat there? The quest doesn’t even show up on them in Springfield either. You have to have started the quest The Princess And The Pea Brain Part 2 before they’ll be available in Krustyland.